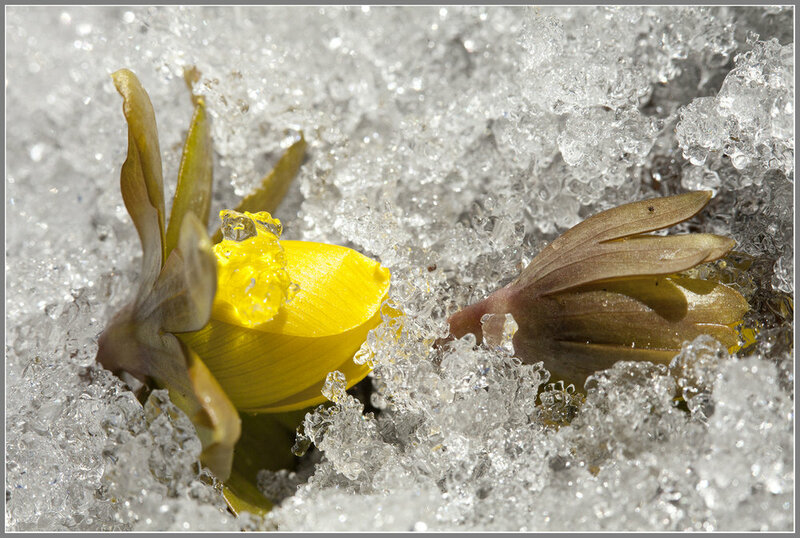 Spring is emerging while old man winter won't give up the grip without a fight. Snowing here in Connecticut right now. 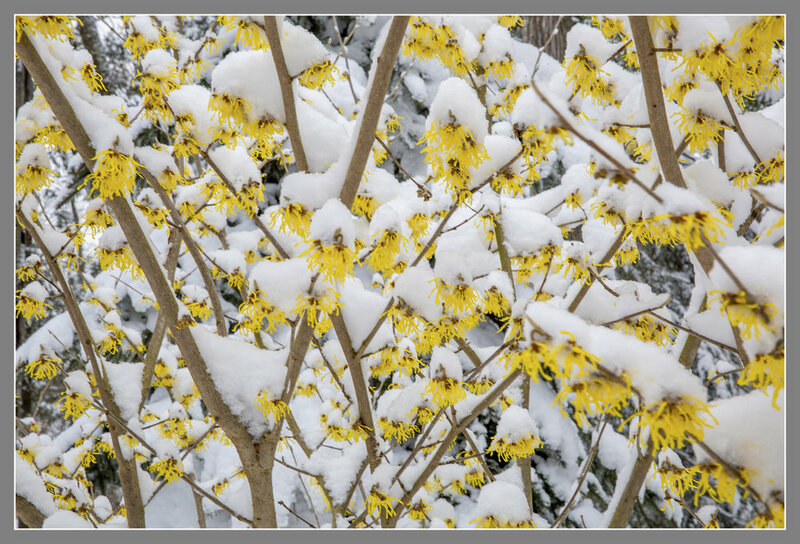 I have been waiting for the snow to fall on top of the witch hazel and winter Aconite. Love to see the combination and was never disappointed. 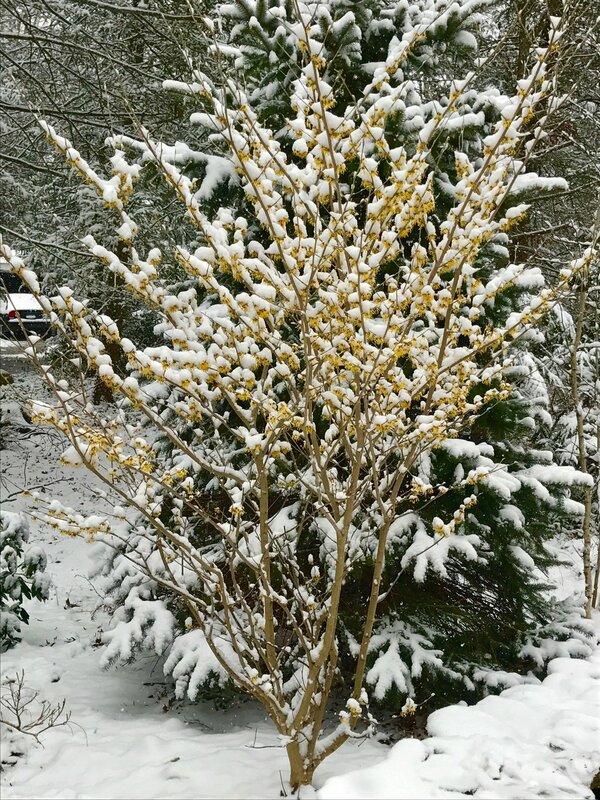 This unique butter cup is the second earliest plants to bloom in Southern New England only a week or two after 'Arnold's promise' witch hazel. 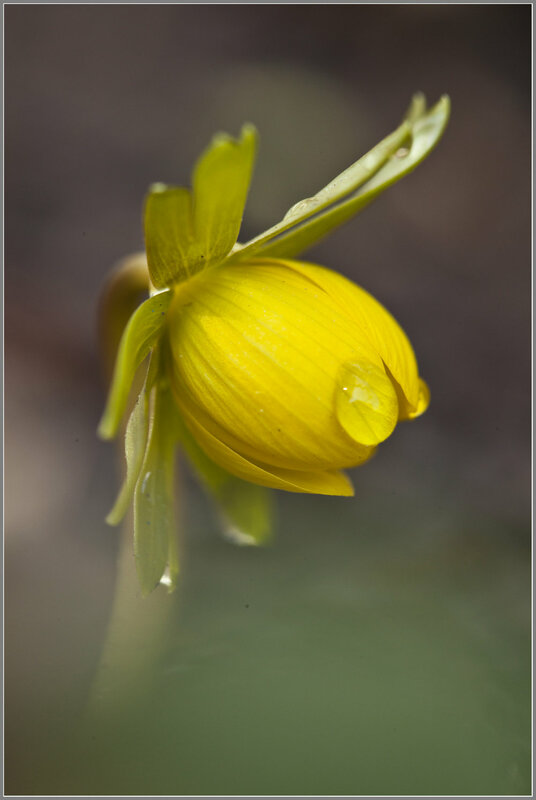 The visual part of the solitary flower actually is the 6 yellow petal-like sepals which is about 1" across. 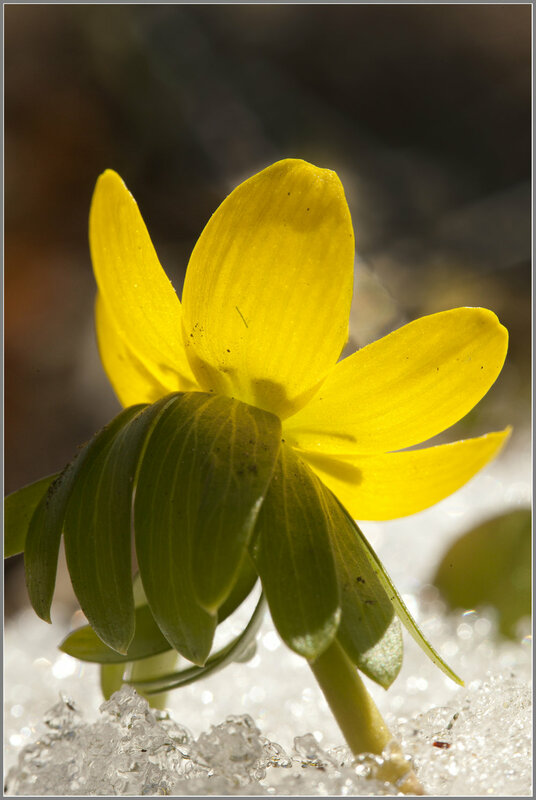 Quite often the flowers popped up through the snow in the end of the winter. 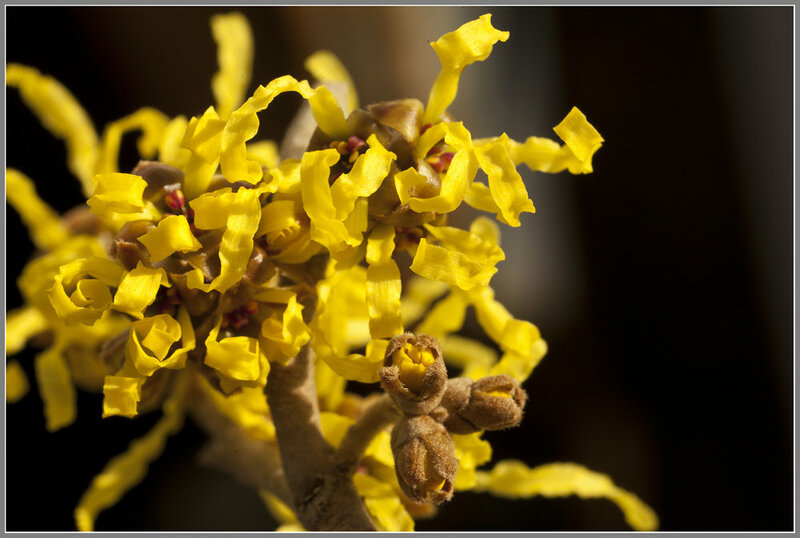 Leafy bract situated right under flower which also often mistakenly identified as the leaves. 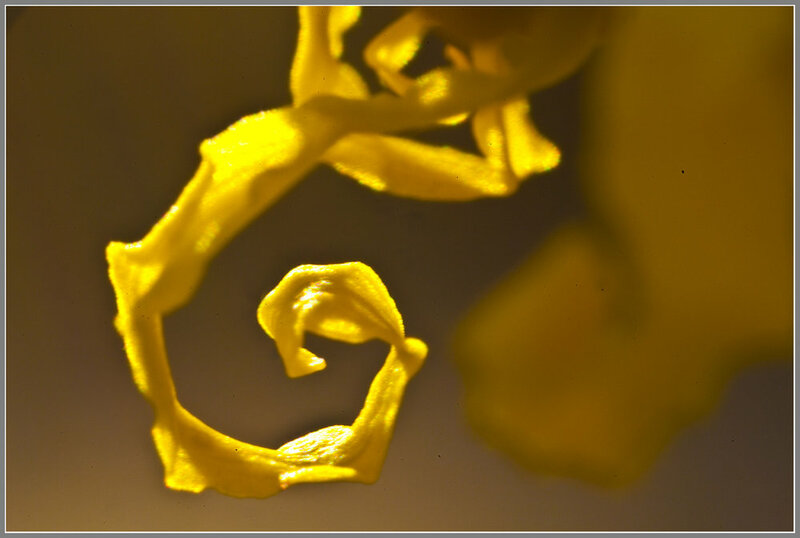 The deeply divided basal leaf with long petiole develops after the flowers is gone and die back in the summer. Will reseed or can be propagated by the tubers. Plant grows about 3-6" tall. 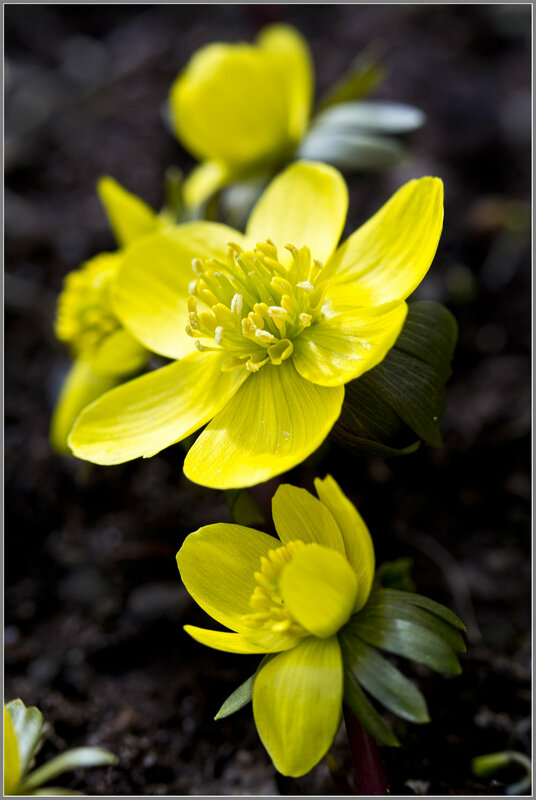 Grows in full sun or partial shade area. Excellent for naturalized planting.